Mesoporous gas-sensitive nanomaterials have attracted the attention of more and more researchers because of their excellent stability and selectivity. 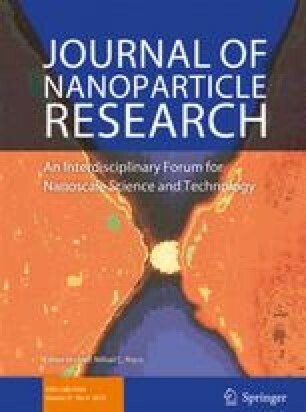 Herein, pure and cerium-doped indium oxide 3D nanosphere (26–19 nm in diameter) arrays were synthesized via nanocasting using mesoporous silica as hard templates. The content of the Ce dopant ions has been found critical to control the structure, optical properties, and gas-sensing activities of the materials. The Ce-doped indium oxide shows significantly improved gas-sensing properties as compared to undoped indium oxide. And the sensor fabricated from the 3 mol% Ce-doped In2O3 with mesoporous nanospheres exhibited excellent sensing properties to ethanol at the optimum temperature of 330 °C. The significantly improved sensing performances may be ascribed to the mesostructured morphology and the doping of Ce ion. Optimizing the performance of mesoporous gas-sensing materials through various channels still requires our continuous efforts. The online version of this article ( https://doi.org/10.1007/s11051-019-4516-3) contains supplementary material, which is available to authorized users. We thank the Natural Science Foundation of Zhejiang Province (Grant No. LY16E030004, LY16B030006) and the Foundation of Science and Technology Department of Zhejiang Province (Grant No. 2017C33078).